There is nothing small about SMBs. The hours one puts into building up a business with a reputation is not small. The ownerships are huge, and the partnerships you forge are bigger. Most small businesses start small but take steps and face hurdles to grow and compete. For SMBs to be competitive in the national and international arena, they need to have access to new production and management technologies. Since the transfer of information is not properly geared towards the needs of SMBs, they lag behind large enterprises in the adoption of new technologies. Despite this, most SMBs not only survive for a long time, but generate returns comparable to large firms. In some cases, though, one is beginning to see the adoption of computer and advanced technologies in specific industries as SMBs have innovation capacities and the ability to carve a niche in smaller markets. One advantage SMBs have over larger corporations is to respond to challenges and opportunities faster and the ability to change course quickly. With the advent of cloud computing, mobile devices, and unified communications in the market, a small business can capitalise on changes faster, thus giving it a compelling competitive advantage. SMBs need to predict and assimilate change. This they can do by adopting tools that help them become more nimble and receptive. In fact, the Dell Small Business Solution Center is one place where such tools and solutions are available to them. Technology can help SMBs create a more responsive and inclusive working culture where employees can work from anywhere and be more alert to customers' needs. 1: The conversational user interface is fundamentally shifting how we build and use computers. Conversational chatbot technologies are developing at a frenetic pace and SMBs are adopting them on a large scale. 2: AI and machine learning will turn nearly every app into a smart app. SMBs in the manufacturing, construction, services and education sectors are adopting this rapidly and most will internalise this technology by 2020. 3: The internet of things is entering the small business sector. Industries that are asset heavy are those most likely to embrace IoT technology. However, leading industries are also adopting this technology in a planned manner. 4: Wearable computing is turning everyone into a sensor. Medical, retail, insurance and fitness are the industries that are most impacted by wearable computing. Businesses are increasingly building wearable computing into their business models although it is largely used for personal monitoring. 5: 3D printing is disrupting more than the manufacturing industry. 3D printing is also known as additive manufacturing where you build something by adding something incremental. However, the cost of industrial strength 3D printing, is still beyond the reach of most SMBs. So, as technology advances, it has the potential to drive productivity in two ways: firstly, by empowering employees to perform tasks quicker by nurturing innovation. Secondly, IT can create efficiency gains from the increased automation of workplace processes and practices. Today's workers want greater flexibility and mobility to work effectively. For them, technology presents a key avenue to fulfil their preferred working style. Establishing a link between productivity and an increasingly flexible and mobile workforce enabled by technology is very much a 'work in progress.' Indeed, large and small sized corporations are adopting a more reflective approach that sees business leaders thoroughly reviewing and appraising the ability of new IT hardware, and solutions to deliver greater productivity. Dell provides you one to one partnerships to grow your business. Dell's been a fantastic partner in helping SMBs understand what technological challenges might be. For a SMB, working with Dell is like having a technology partner about which you don't have to worry. 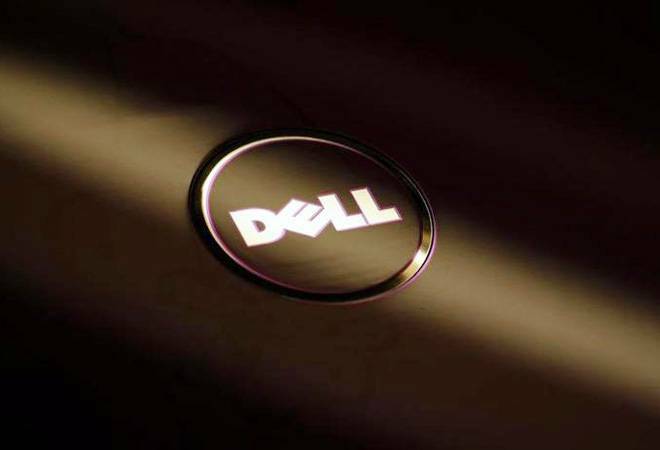 So how does Dell first come into the picture while helping a SMB? Dell first does, what is called a technology audit---it understands how the owner runs his business, and what kind of tools, products and services he uses to be more effective and efficient. Technology is going to be increasingly an important piece of the puzzle when it comes to growing a brand nationally or internationally. Dell's technology is a vehicle that helps SMBs bring great products and services to their customers.